Fredericksburg, VA – September 12, 2017 For more information contact: Dotti Houlihan dhoulihan@cornerstonehomes.net (804) 484-3242 X 221 Cornerstone Homes, Fredericksburg’s only builder creating homes and communities exclusively for 55+ homebuyers, will celebrate the “Sweet Life” at Barley Woods at a special clubhouse event on Saturday, September 16 from 1 to 4 pm. 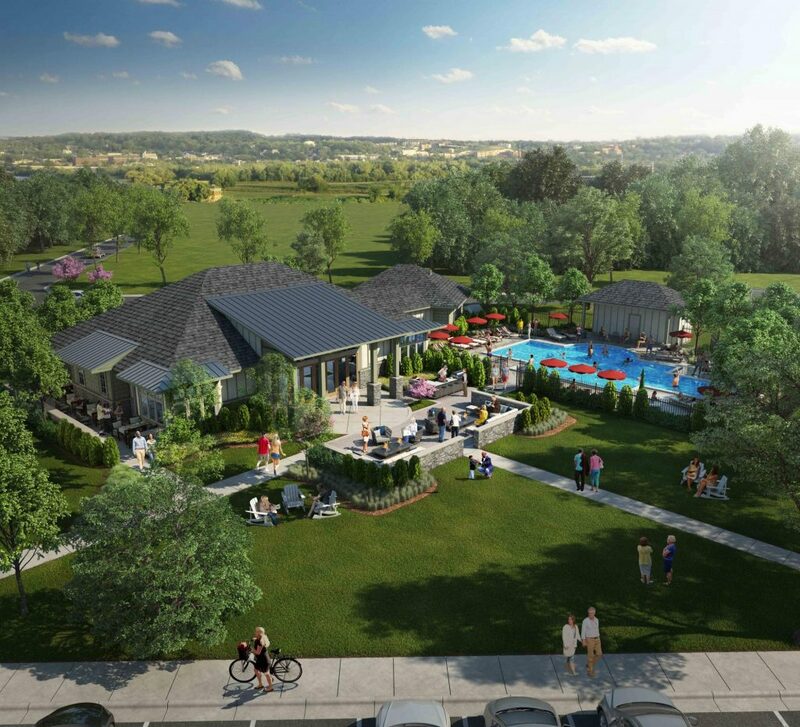 “Our construction crews have been working through the summer and we’ve made huge progress on the community clubhouse and our first model homes,” said Roger Glover, owner of Cornerstone Homes. “This is a great opportunity for prospective homeowners to take a Dusty Boots Tour of the clubhouse. With walls up and a roof overhead, people can begin to see our unique mix of social, recreation, health, and wellness amenities now coming to life in Barley Woods.” Scheduled to open soon, the clubhouse will feature a variety rooms and spaces designed for parties and happy hours, club meetings, games and hobbies, lounge areas, and reading nooks. It will also feature a fitness center with the latest strength training and cardio equipment, as well as areas for stretching, yoga and Pilates. Outside, homeowners will enjoy a swimming pool surrounded by a sun deck, and a spacious outdoor lounge with grilling area. Surrounding it all will be a lush, landscaped lawn with pocket gardens and paths that lead to the homes and additional community amenities. During the “Sweet Life” event on September 16, prospective homeowners will get a chance to learn all about Barley Woods’ truly maintenance-free lifestyle and unique concierge services to simplify the moving process. Cornerstone Homes’ sales team will be on hand to showcase Barley Woods’ array of 7 highly flexible floor plans available in both attached and detached configurations. Each plan can be tailored with creative flex spaces, unique options, and low maintenance design features inside and out. In addition, Cornerstone Homes’ trade partners will be at the “Sweet Life” event to provide information about specific design features and personalizing touches, including flooring, cabinetry, faucets, HVAC and more. The festivities will also include refreshments, sweet treats, and special door prizes. For more information about the “Sweet Life” event and 7 villa home designs now selling at Barley Woods from the $274,990, call 540.699.3009. For floor plans and directions to the community, visit cornerstonehomes.net. Since 2001, Cornerstone Homes has exclusively focused on creating communities and homes for active adult homebuyers. During this time, Cornerstone Homes and its sister companies have successfully developed fifteen (15) active adult communities with over 1,400 homes in Virginia, Tennessee, North Carolina and Louisiana. Today, Cornerstone is uniquely positioned to serve the needs of an ever-growing active adult market in Virginia and throughout the Mid Atlantic region.